FREE is always nice....and cook books are not cheap! 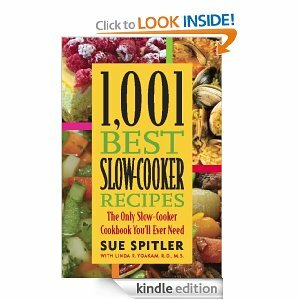 You can get 1,001 Best Slow-Cooker Recipes by Sue Spitler for free. Recipes include appetizers, entrees, side dishes, breads, sandwiches, and desserts. I’m really interested in seeing the bread recipes for the slow cooker! This can be downloaded to your computer, iPad, smart phone or Kindle. The price can change at any moment so make sure the price says $0 before you buy.